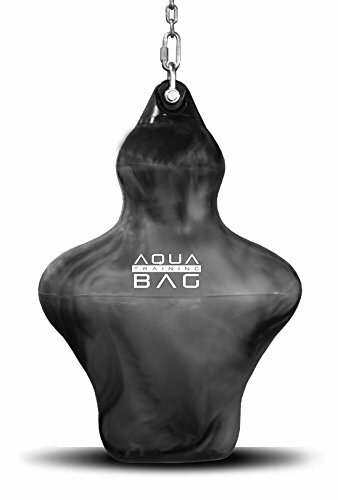 The Aqua Training bag is a non-traditional punching bag developed and manufactured here in the United States. They had previously offered 5 sizes of training bags, as small as the 9” 15 lb ‘Head Hunter’ and as large as the 21” 190 lb training bag. 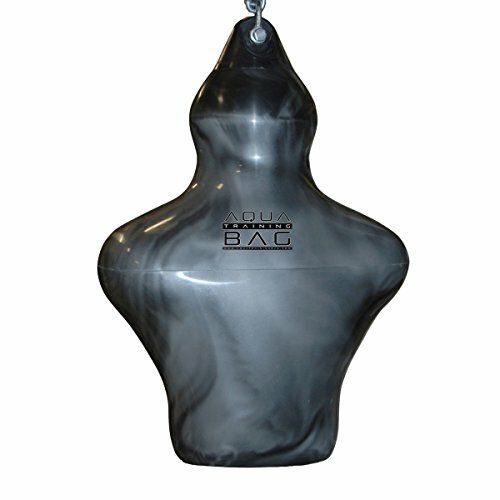 These unique and fun teardrop shaped training bags are made with serious marine grade materials and carry a 2 year warranty and a 60 day money back guarantee if you don’t absolutely love the product. Now Aqua Training Bag is offering a human torso shaped bag in the same high quality material that folks are used to from them. The Bruiser has a head, shoulders down to a waist, imagine a Century BOB that hangs and is filled with water. I see Bruiser bags popping up at pro gyms all over the internet, and for good reason. Once I saw these were out and for sale, I contacted the good folks at Aqua Training Bag, and they shipped me one right away. I have spent plenty of hours using this bruiser bag and I see how it compared to the original Aqua Bag, regular heavy bags, and torso shaped free standing training bags. Go ahead and check out my review of the 18” 120 lb Aqua Training Bag to get acquainted with the company and their teardrop shaped bags here. The Bruiser bag is shipped unfilled in a manageable box; it includes heavy duty mounting hardware already installed on the bag. Once you fill the Bruiser with the included water hose attachment, however, it becomes pretty unmanageable. It is best to have the Bruiser hung and in position before you fill it with water. Once the bag is filled, it weights around 160 lbs. Keeping in mind the weight, you will hang the Bruiser exactly as you would a traditional heavy bag. See our heavy bag buyers guide here for suggestions on hanging your training bag. At first look, the Bruiser is pretty great; it boasts big round shoulders, a head and neck, everything down to the belt line. The original Aqua Training Bag is already the most lifelike surface to strike, but the Bruiser’s shape proves to be even closer to the real thing. Changing levels to dig punches into the body, you feel almost like you might be ducking a hook from your training partner. When you strike to the head you can practice your accuracy, aiming your punches to the chin or ear area, and when kicking the head of the Bruiser, you have to clear the shoulder. Clinch work with knees and elbows is also impressive. 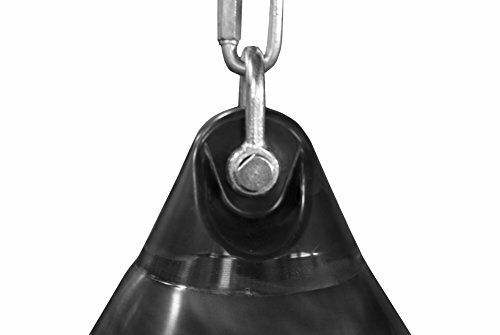 Most other human shaped bags are free standing with a heavy filled base, a good power shot can tip them over, even when properly filled. This causes unneeded breaks in the action and in some cases you’ll have a little water or sand to clean up. The torso shape and the slight swing action of the hanging Bruiser adds more to the life like training experience. Like the original Aqua Training Bag, the Bruiser sways a little, but much less than a traditional heavy bag. If you were to ask, “Should I buy the Bruiser instead of the original Aqua Training Bag?” My answer would be that they are both great in many ways; I also have the 120 lb bag and I did several rounds back and forth between that and the Bruiser. The experience is very similar yet also very different, if you have a gym, it wouldn’t hurt to have 3 different sizes of the Aqua Training Bag, and a Bruiser, along with half a dozen Muay Thai Bags! If you have a one bag setup, the Bruiser provides the shape of a person and the feel of a water bag that you can’t get with any other training bag. If you especially love to kick, I suggest figuring out how to make yourself a 2 bag setup, the Bruiser is that good. The Bruiser from Aqua Training Bag is an amazing product. The only drawback of these bags for me is that the Bruiser has no legs to kick! Though the Bruiser is much more kick-friendly than the original Aqua Training Bag, it’s a good idea to wear shoes when kicking to protect your foot from the slap of the marine grade rubber. I will say that clinch work with elbows and knees is nothing short of amazing, but my elbows had a couple rough sessions until my skin was conditioned to striking the rubber surface. 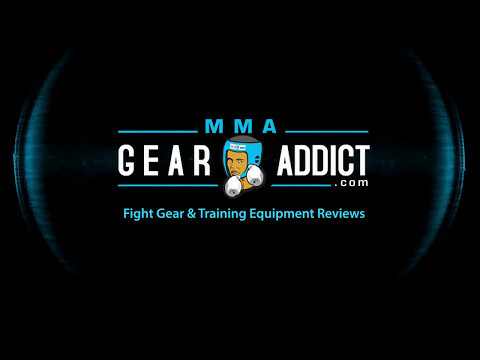 The Bruiser offers all the same forgiving features for your hands and joints as the original, and in my opinion, there is no better torso shaped training bag on the market than the Bruiser. We thank the nice folks at Aqua Training Bag for providing us this Bruiser training bag. This did not influence the outcome of the review, which was written after several months and well over 500 rounds of training. Greg has been a student of multiple disciplines of martial arts since 2010. He is a former amateur kickboxing champion, and an avid fight gear enthusiast.